Learn basic skin care that can help eliminate laugh lines. Eat a healthy diet including fruits and vegetables. Drink plenty of water to hydrate the skin. The skin is an organ and will respond to healthy lifestyle habits. Avoid excessive sugar, processed foods, stimulants, alcohol, and smoking. Take multi and omega vitamins for a healthier body and skin. Relax regularly and manage stress. Regular physical activity helps the circulation and rehydrates the body. For protection, always use sunscreen, wear sunglasses, and avoid excessive direct sunlight on the face. Wear a hat to protect the head and face from sun exposure. 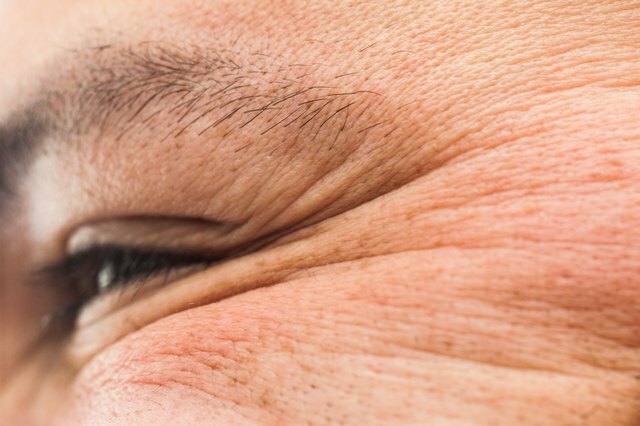 Excessive sun and heat can dehydrate and make the skin dry, causing prominent laugh lines. It's recommended that you create a skin-care routine. The face should be cleansed twice daily and exfoliated at least once a week, followed by a lotion or cream. Alpha hydroxy acids added to facial cream can work against skin damage and assist with collagen growth, which is essential for filling in laugh lines and eliminating dead skin cells. 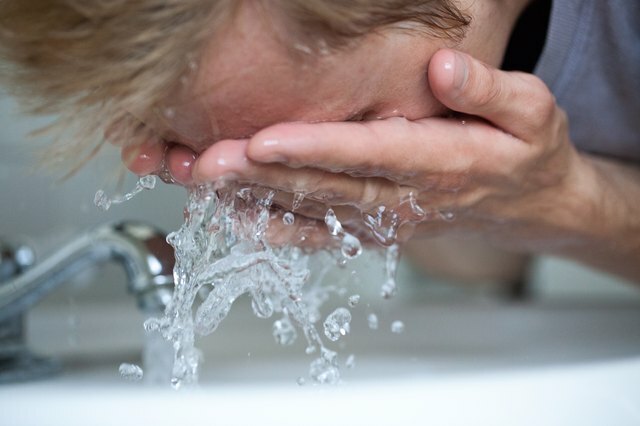 Use exfoliants, facial scrubs, and peel-off masks to create better hydration for the skin so it appears more refreshed. Exfoliate before applying any type of cream on the face. Natural treatments are also available. Get fresh aloe vera gel from the leaf and apply lightly to the face. Or one can mash avocado pulp and apply to the face for 20 minutes, for extra vitamin E antioxidants and protection from the sun. Use papaya, whose enzymes can reduce the appearance of laugh lines. Oatmeal can be mixed into avocado and papaya to help exfoliate. Ripe bananas and honey can be applied to the face for 10 minutes to firm the skin. Many people turn to cosmetics options. 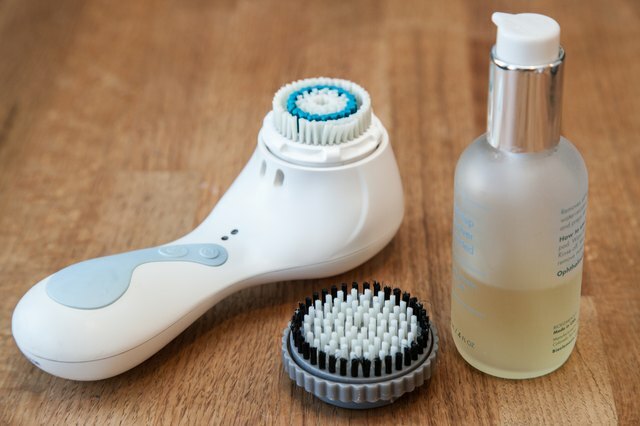 Use a home microdermabrasion kit to exfoliate skin and help remove laugh lines. 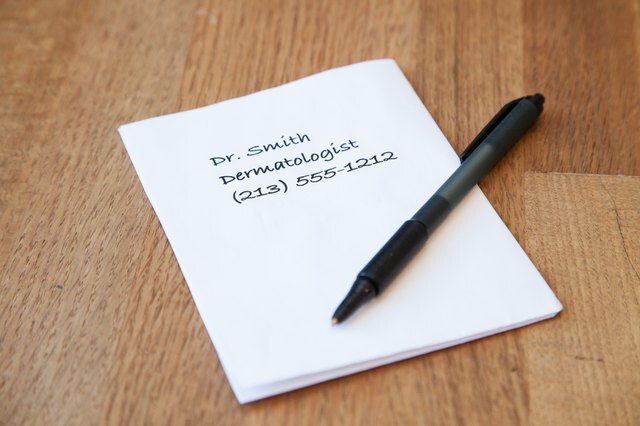 Try specialty deep wrinkle creams made to fill in lines. 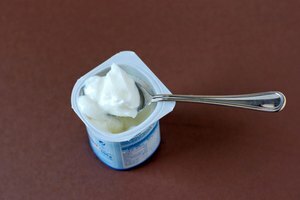 Creams containing vitamins A, C, and E for sun exposure and laugh line wrinkle prevention are also available. Lotions that have glycolic acid also can be beneficial in reducing and eliminating laugh lines. If the above options are not diminishing laugh lines, there are also advanced procedures. Consult a dermatologist for more intense treatments, such as soft tissue fillers like collagen. Investigate chemical peels, micro and regular dermabrasion, which can be effective in eliminating laugh lines. Laser resurfacing is also an option for greater consistency. Botox and other plastic surgeries can also remove laugh lines. Try basic cleansing and health care before more advanced treatments. 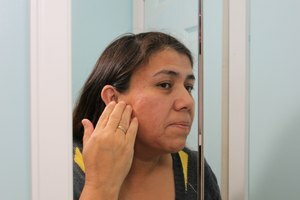 Use natural and home treatments before consulting professional dermatologists for invasive procedures. AHAs can cause irritations and allergic reactions. Use very small amounts with caution. 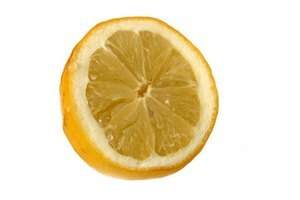 Masks and peels can irritate the skin. Watch for skin color changes as a side effect. Be cautious when enlisting dermatologists for intense procedures. Check references and side effects before trying any advanced procedures.